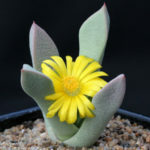 Schwantesia pillansii is an attractive and very rare Mesemb with 3-angled leaves. 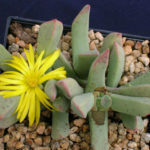 Like other Lithops related genera such as Lapidaria, the old leaves shrivel and die as the new pairs form. 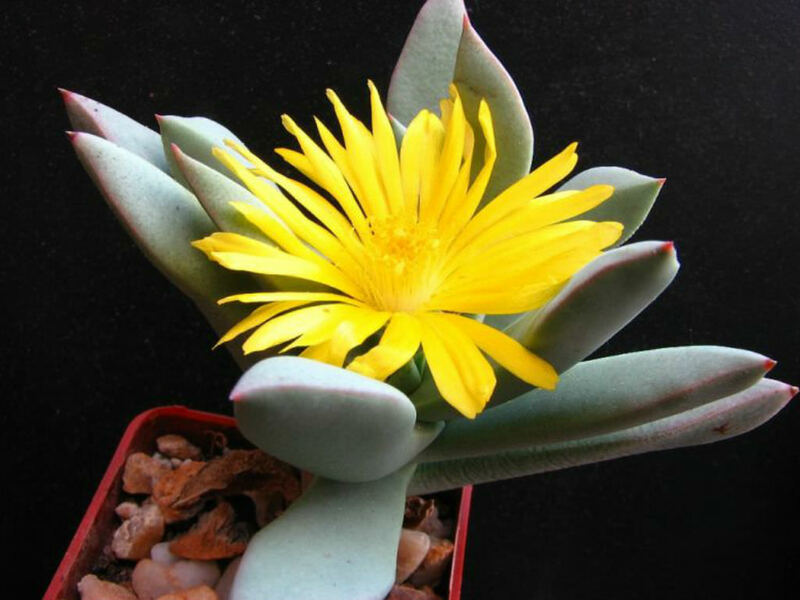 It flowers with a single, yellow flower, up to 2 inches (5 cm) in diameter. It opens during the day. 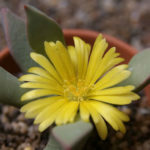 The basics of Mesemb care are very simple, with free-draining soil, plenty of sun and ventilation, and regular light watering in the right season. Yet the difficulties are endless, trying to adapt to the Mesembs’ own adaptability and to follow their growth habits in your particular conditions. Mesembs require a loam-based compost with the addition of extra drainage material such as horticultural grit or perlite. They all like good light conditions and plenty of ventilation. Some are relatively cold-hardy and can even survive mild winters outside. Most will survive temperatures down to freezing point. 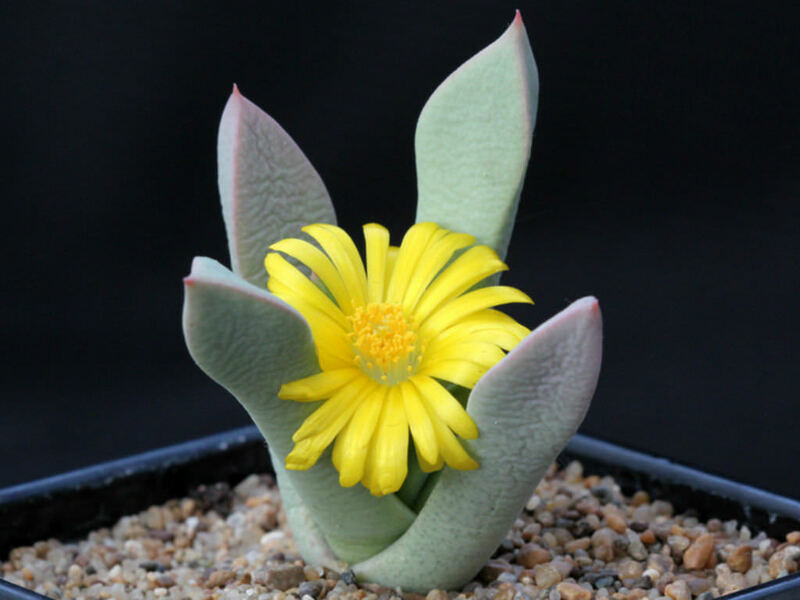 There are some Mesembs which begin to grow in the autumn as the temperature drops and the days get shorter. 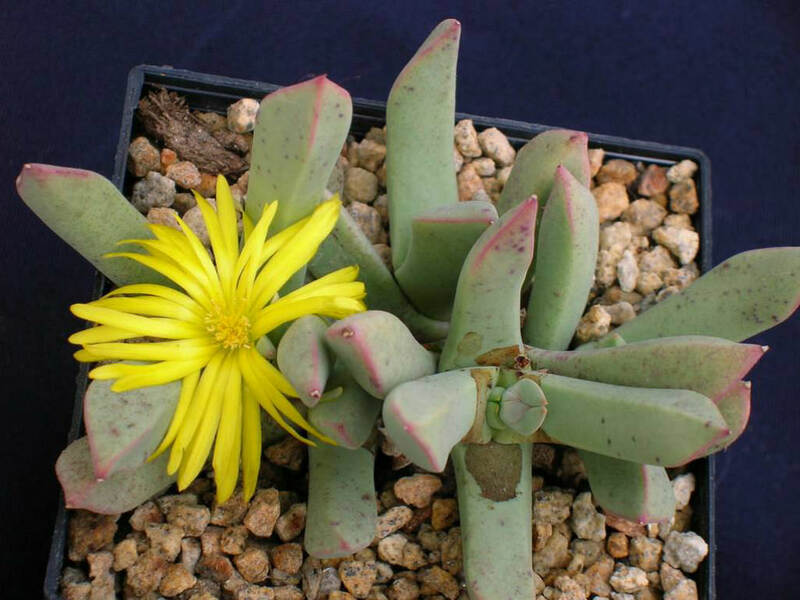 Because different genera within the Mesemb family have different growing conditions, care mast be taken with watering. 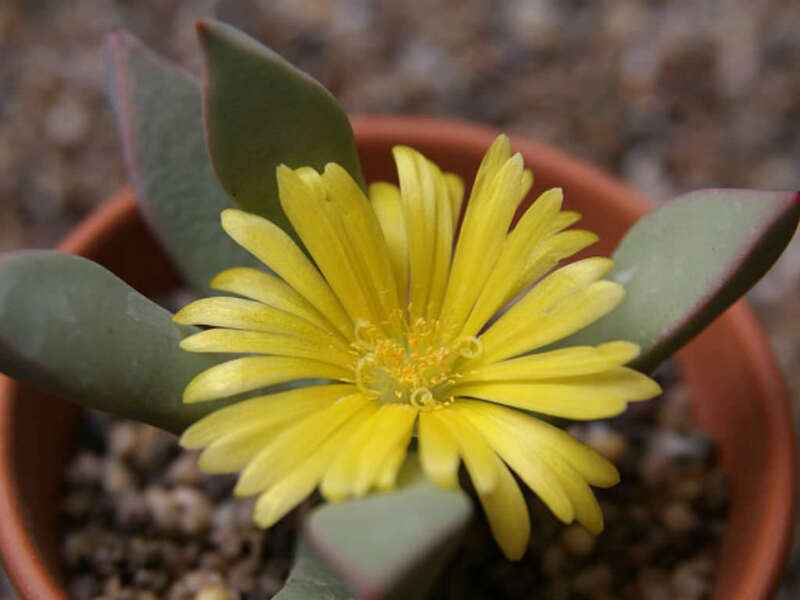 Some genera will benefit from a light spray water to prevent shrivelling during their dormant period… – See more at: How to Grow and Care for Mesembs.